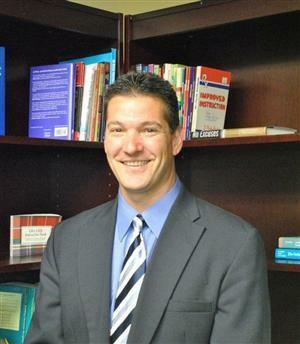 Hired by the Norwin School District in 2004, Robert Suman currently serves as building principal of Norwin Middle School. Mr.Suman became the building principal in 2008 after serving the previous five years as the assistant principal in the same building. Before coming to Norwin, Mr. Suman taught in the Penn-Trafford School District from 1996-2003. Prior his tenure at Penn-Trafford, Mr. Suman taught at Derry Area Middle School from 1993-1996 and coached varsity football at his alma mater. Mr. Suman serves on various committees including the likes of the District Health and Wellness Committee, Character Education Committee and Professional Education Committee to name a few. Mr. Suman attended Indiana University of Pennsylvania on a four year football scholarship and earned a Bachelor of Science degree in Elementary Education in 1991. In 1995, he received his Masters in Education, again from Indiana University of Pennsylvania. In December of 2000, he received his principal K-12 certification from IUP.